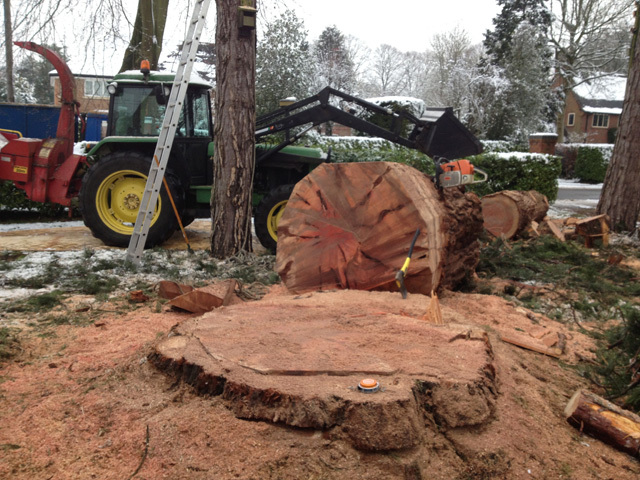 For J & D Clark Treework Specialists the opportunity to traditionally fell a tree is very rare. 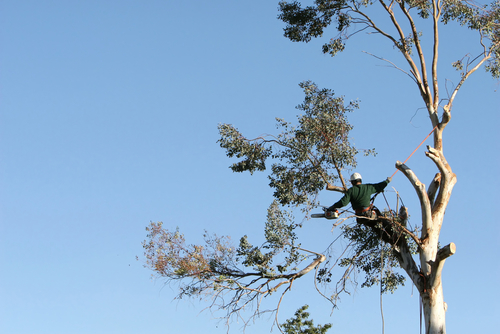 Tree felling in sections or dismantling is our usual tree removal technique. 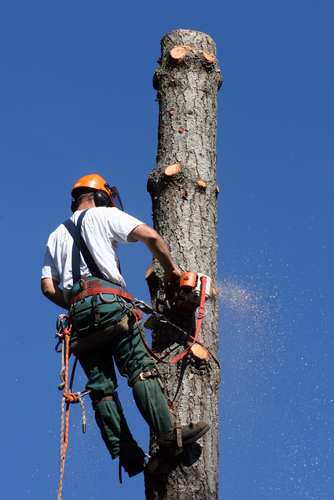 Utilising modern rigging techniques involving the use of high strength ropes, pulleys and friction devices we are able to complete tree felling to remove even the largest trees from seemingly impossible situations, in a safe and controlled manner, with minimum disturbance to surrounding features. 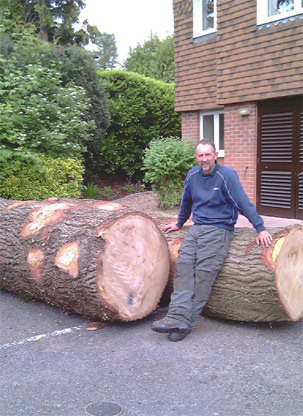 We frequently fell trees all over Buckinghamshire, Hertfordshire and Berkshire. 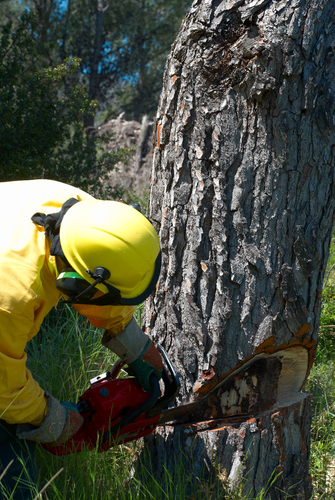 Click here to view a timelapse, along with other videos of our work. 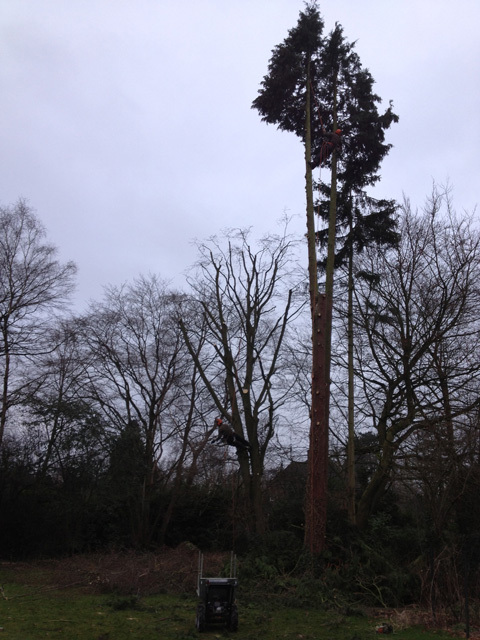 How you and your marvellous team managed to get the tree down next to my house was fantastic. 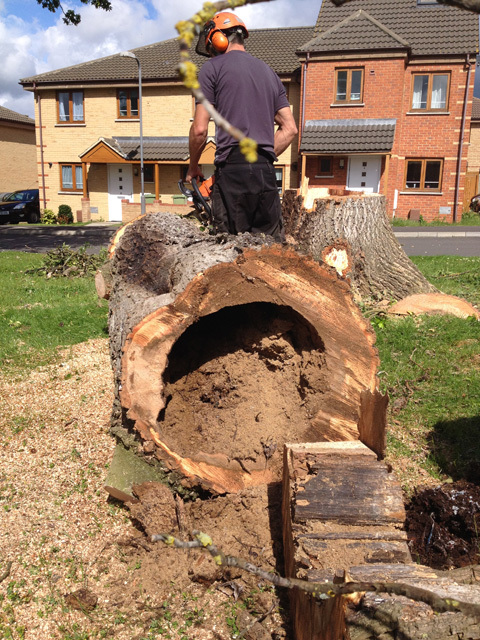 When you had finished only a few flecks of sawdust remained where the tree had been. My thanks to all involved.